Do You Give or Follow Bad Battery Advice? When they returned later in the day with a replacement, they shared some advice they’d received on preventing a recurrence. A misinformed technician instructed them to fully discharge the laptop battery on a regular basis. This triggered another fit of screaming (albeit, inside my head). While not as dangerous as an exploding lithium battery, such bad advice is destructive. And I’m dismayed at the number of people—even those with a technical background—who perpetuate such horrible advice. To combat destructive and dangerous advice, I’ve assembled best practices on charging your devices. Most of you want the bottom line and don’t want to get deep into the weeds. But if one of the few that wants the research behind the advice, I’ve listed resources at the end of this article. Modern devices like your smartphone, tablets, laptops, etc. use lithium-ion batteries (also known as lithium polymer, Li-ion, and LIB). The advice in this article is for lithium-ion batteries only. The chemistries of lead-acid batteries, alkaline batteries, NiCad batteries, etc. are very different. Some of the bad advice that’s being given or followed for lithium-ion batteries comes from confusing and mixing advice from legacy battery types. Overcharging is probably the worst thing you can do to a lithium-ion battery, because that can lead to fires and ruptures. The good news is that major manufacturers take great pains to build in multiple safeguards to prevent overcharging. So, overcharging is normally not a concern. When “smart” charging is used, the power to the battery is cut off to prevent damage or danger. Not all manufacturers are conscientious, however, and the cheap Chinese hoverboards popular in 2015 and 2016 omitted overcharging protections. This led to them spontaneously combusting and was a contributing factor to being banned. Consequently, I will not buy equipment that has warnings to unplug a device once it is fully charged. This is a bad sign they’ve gone the cheap route and have omitted overcharging protections. To prevent overcharging you should use quality chargers and cables. For Apple products, that means cables that are labeled as MFi certified. If I specifically need an Apple brand item (e.g., the HDMI lightning adapter), I buy them from a major retailer because I’ve had issues with counterfeits on Amazon.com (see article in sidebar). USB-C is another cable standard that’s suffered from quality woes. But even if you’re not using a special cable, it’s still important to use quality components. Don’t buy cables or chargers from the local drugstore, gas station, or bargain bin. Not only is this important for the safety of your device, cheap components often deliver a weak and unstable power flow and can take longer to charge your device. One way to ensure quality is to use the products provided by the device’s manufacturer. But there are also plenty of reputable third party sources that are just as good (or better) and can save you money. One of my favorite brands for chargers and cables is Anker and their products can be found in my home, vehicle, office, and backpack—as well as for my family, friends and relatives since I've given Anker products as gifts, too. I’ve also been happy with Monoprice brand cables. And I have heard good things about Amazon Basics as well, although I’ve been so happy with Anker I haven't been able to verify as many Amazon Basics myself. Since there’s a chance even a major brand can have defective lithium-ion batteries, be on the lookout for danger signs, especially when you first acquire a new device. A bulge from a swelling battery is a red flag that something is horribly wrong. Extreme heat is the other indicator of an issue. Fast charging a battery normally makes the battery warm to the touch, but if it is getting extremely or painfully hot, that’s not normal. In the opening scenario I mentioned a third symptom, which is directly related to the heat problem. If your device is running really slow, it could be due thermal throttling. The faster a processor runs, the more heat it generates, so some devices slow down to avoid damaging temperatures. Unfortunately, in my opening example, the source of the dangerous heat was the battery and not the processor. Like the processor, lithium-ion batteries don’t like heat. Leaving a device on your dashboard on a summer day is a good way to shorten the lifespan of a lithium-ion battery. Doing a fast-charge under those circumstances could lead to even more trouble. On the opposite extreme, lithium-ion batteries don’t hold a charge well in freezing temperatures. In the winter, I store my phone in an inside pocket, instead of an outside pocket, so it benefits from body heat. It turns out lithium-ion batteries like room temperatures just like humans—not too cold and not too hot. The most common and destructive practice I see is letting the battery hit empty. Lithium-ion batteries hate being fully discharged, and you damage it each time you let these batteries run dry. If done frequently, this reduces the charge your battery can store or deliver, and it eventually destroys the battery. The reason most people allow a full discharge is probably inattention, so it’s hard to provide an effective countermeasure other than “charge frequently.” I suspect that sometimes this destructive behavior is a holdover from the charging technique used on NiCad batteries to prevent the “memory effect.” However, this does NOT apply to lithium-ion batteries, so don’t let them hit empty! Another source of the bad “full discharge” advice is a misunderstanding of battery calibration. Modern devices use sophisticated calculations to estimate remaining battery life. One way to improve those estimations is to recalibrate its monitoring by letting the charge run low (BUT NOT OUT). My recommendation is to only recalibrate when your device’s estimations are consistently and significantly off. And even then, don’t let the charge drop below 5%. This buffer is important because a lithium-ion battery discharges more quickly at the end of its spectrum. You could accidentally hit a damaging full discharge, especially if your device’s estimations are off. While on the topic of charging, I wanted to clarify how charging cycles work. All batteries have a finite lifespan, and for lithium-ion it is typically measured in cycles. If a battery is rated for 1,500 cycles, it means it should survive to do 1,500 full recharges. A cycle is NOT consumed each time a device is connected to a charger. Instead it is the measure of a recharge that brings a battery from 0% to 100% full. Therefore, if a battery drops to 75% and then gets fully recharged, only a quarter of one cycle has transpired. If the next day the battery drops to 80% and then gets fully recharged, then only a fifth of one cycle has transpired. For those two days, that’s a cumulative 45% of just one of the cycles. Because modern quality devices have safeguards to prevent overcharging, a full discharge is the more likely problem people will face. Therefore, charging your iPhone overnight is not something to be feared or avoided. Devices with a smart charger or battery cut the power and stop charging when they get full. Therefore, my advice is to plug such devices into a charger whenever it is available. Of course, the manufacturer’s instructions and advice on charging should take precedence. This is especially important for off-brand and cheap devices which may lack overcharging protections. Another option, although a bit impractical (especially since it is only minimally better for the battery) is to perform charging based on level. If you don’t find this practice too extreme, then let your device get to 50% remaining before recharging. And then, when you do recharge don’t let it reach 100%—instead disconnect it when it reaches 80% or 90% full. Personally, I don’t like heading out the door with a device at 50% capacity. If I’m on the move for too long I could hit empty because I was unable to charge it. I have found no discernable lifespan improvement between the two charging methods. So why not choose the method with the better convenience? 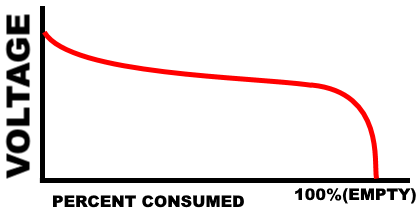 For the past decade, across a number of my devices, I’ve seen the empirical evidence that supports the “always charge” method. No device had to be replaced or repaired due to battery issues. In fact, they tended to live a bit too long, since they survived well into obsolescence (sigh—first world problems). “Security Now!” from Gibson Research Corporation. Transcripts can be found by using the SEARCH box in the upper-right of the page to find episodes referencing “lithium.” Then set “SecurityNow!” as the filter. For example episodes 321, 322,324, 332, 334, 338, 526, 552, 575, 577, 582, 647, etc. have touched on the subject of lithium-ion chemistry and charging. Older PostReviewed: 2K to 10K: Writing Faster, Writing Better, and Writing More of What You Love by Rachel Aaron.